This piece was made for Typography 1. 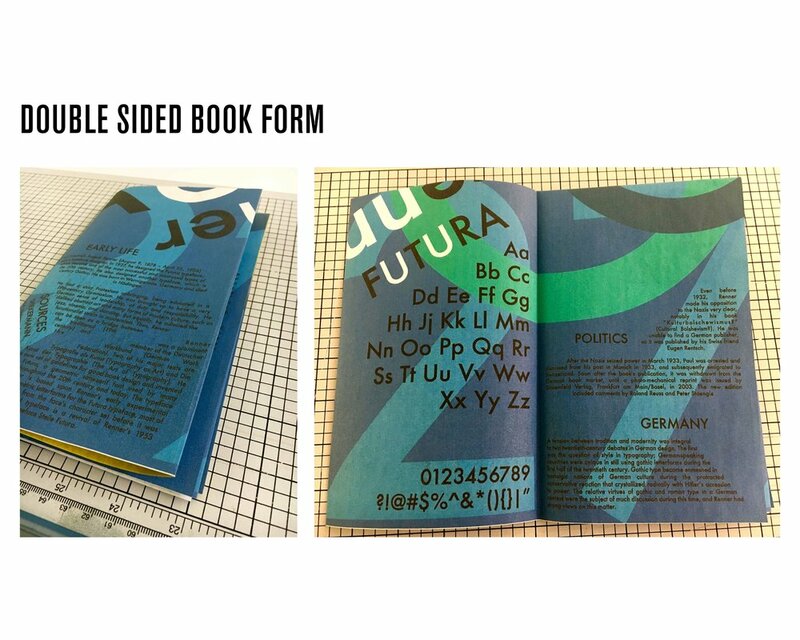 The assignment was to choose two typographers and both communicate their style and communicate information about them on a 17x11 poster that would be folded and cut to also become a book on both sides. I took a quote from a Spiekermann piece and used his color scheme to contrast with more muted colors of Paul Renner’s era along with contrasting straight and diagonal lines between the two designers.